Like teenagers, acne is basically a benign disorder, which usually lasts a while. It happens when the hair follicles become irritated. Dogs who have short coats including bulldogs, boxers, and rottweilers are the ones that most likely to get pimples. Dogs could also experience intense itching and pain. In terms of acne, dogs are like human beings. They get pimples, yet the main difference is that they’re not self-conscious in the same manner people are. In general, acne isn’t a major health issue for dogs as majority of them clears up once they’ve reached adulthood, yet it may reoccur at times. Reasons Why Dogs Get Pimples? Dog pimples can be caused by a lot of things and oftentimes, it depends on the surroundings and dog’s breed. Basically, pimples are part of being adolescent for dogs. That is the reason why no matter what dog owners do, breakouts will still occur. There are times that pimples can be due to the hormonal changes and there are cases that these could be due to allergic reaction to some dog foods or products. Even if it might be tempting to pick with the pimples, it isn’t a great idea and it could cause a more serious problem. Picking the bumps can basically cause the pimples to spread or cause a more serious infection. The most that you may do is apply a warm cloth to the affected area to reduce swelling, yet the rest must be left to your vet. 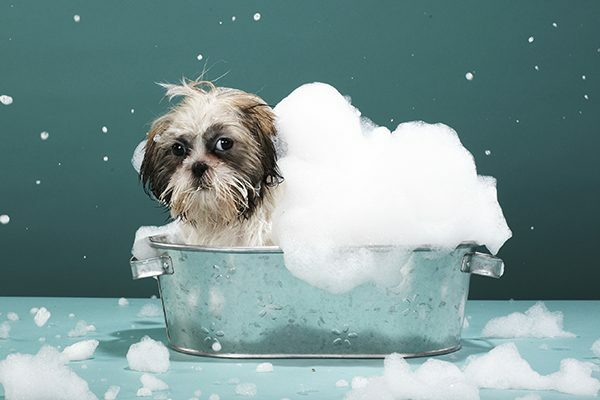 Visit the local pet stores to purchase a medicated or antibacterial shampoo specially formulated for dogs. Quality dog shampoos are formulated with Echinacea or aloe vera, which are helpful when getting rid of some skin issues. Dogs must be bathed with the products made for dogs due to human shampoos, ointments, and creams aren’t proper for them as they’re too harsh. Just be cautious when choosing a medicated shampoo as there are some that cause irritation and allergic reaction is several dogs. 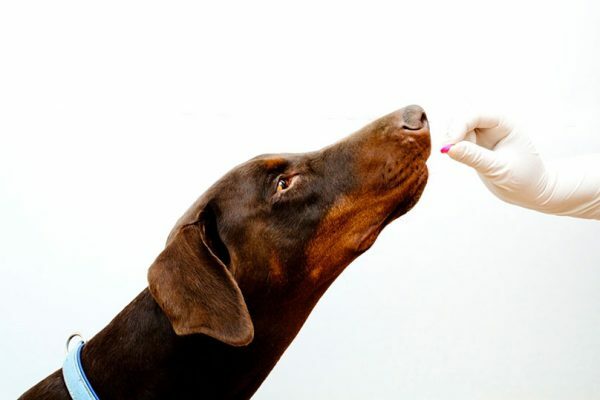 If you want your dog to get rid of his or her pimples, considering pills like antibiotics is also a good consideration. Just ensure that it is prescribed by your vet. If your dog is still in the stage of adolescence, majority of pimple problems are due to bacteria and poor hygiene. 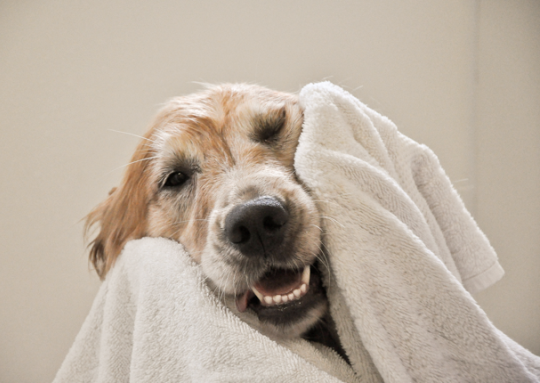 Bathing weekly or at least several times every month will keep your dog stay clean. Several pimples around the mouth may be due by poor oral health. 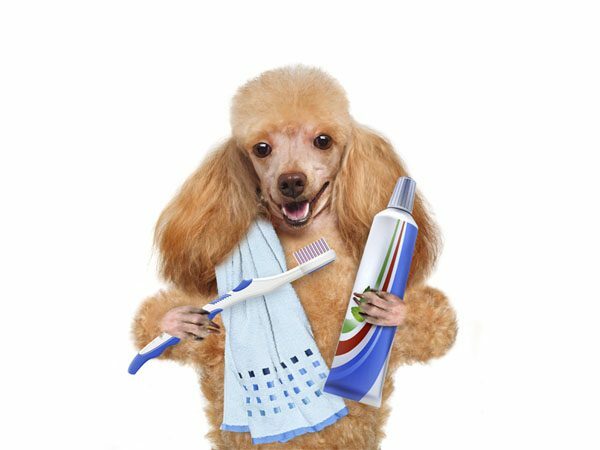 That is the reason why brushing the dog’s teeth a few times or giving edible dental treats can also be of great help. If pimples are getting severe or if it’s affected area is already infected, it’s ideal to visit a vet for treatment. Majority of serious pimple cases can be cured through prescription ointments, medicated soaps or oral medication. 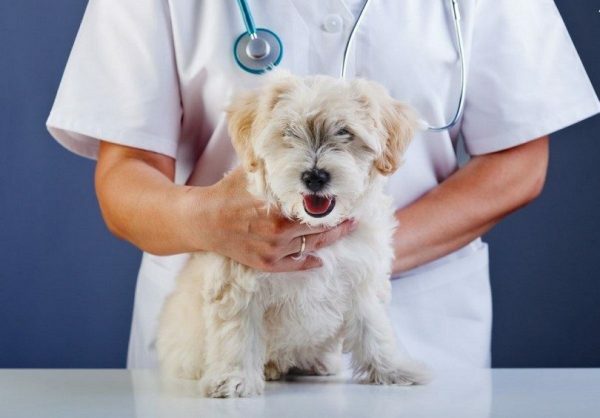 Consult your vet for professional advice regarding the different treatment options.